Volunteers receive training and information to equip them for supportive interaction with our neighbors who are seeking assistance. 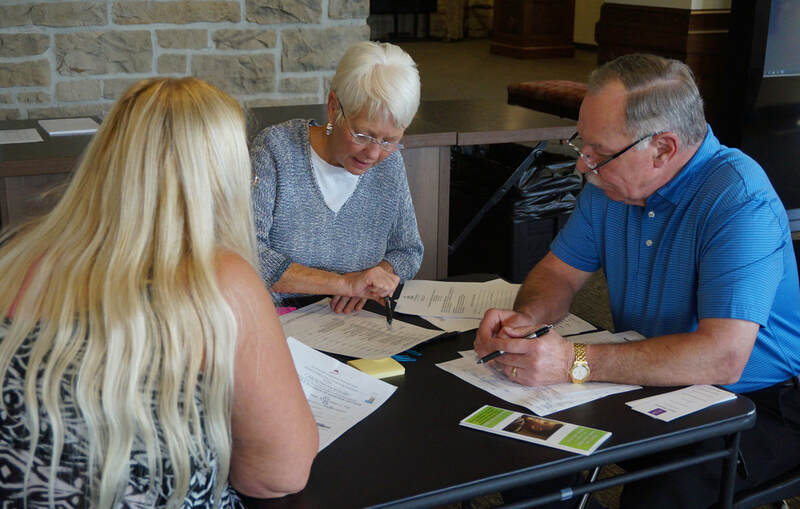 At specified times, the community is welcomed to share their needs one-on-one with a volunteer who listens, prays and connects them to resources at Trinity, or available in the community. 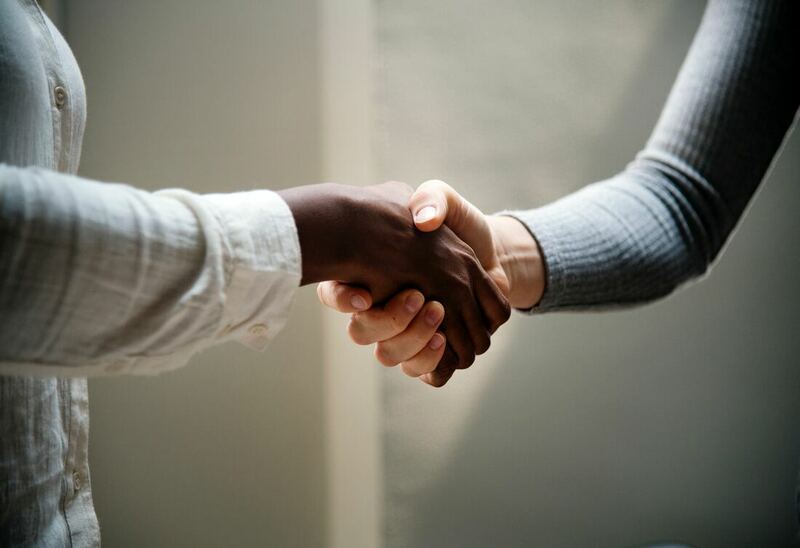 More than being just a transactional connection, the conversations lay the groundwork for a relationship that supports each individual, and emphasizes the companionship nature of all we do to share one another's lives and burdens in this life. Contact Janet Altmeyer for more information. Volunteer an hour or more of your time as a greeter during Open Doors on Tuesday, Wednesday and Thursdays, 10 AM to 2 PM, year 'round. In a literal way to show that "Church" is open to all, we prop open the doors and invite guests to come in to the sanctuary to pray, meditate, or just to find some peace. Contact Julia Konow for more information. Make someone’s day! 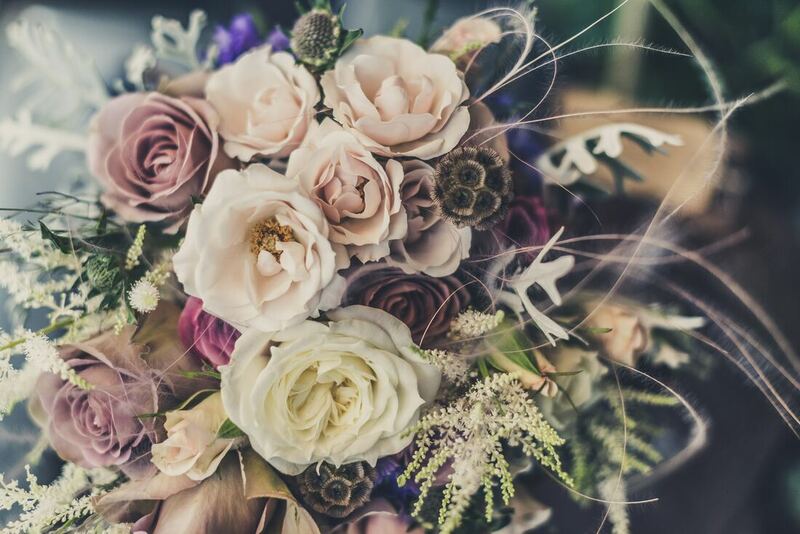 Sign up to take altar flowers to our hospitalized members or those in facilities. If you are able to assist (one-time, occasionally or regularly) with this ministry, please contact Pastor Kathleen Haller. 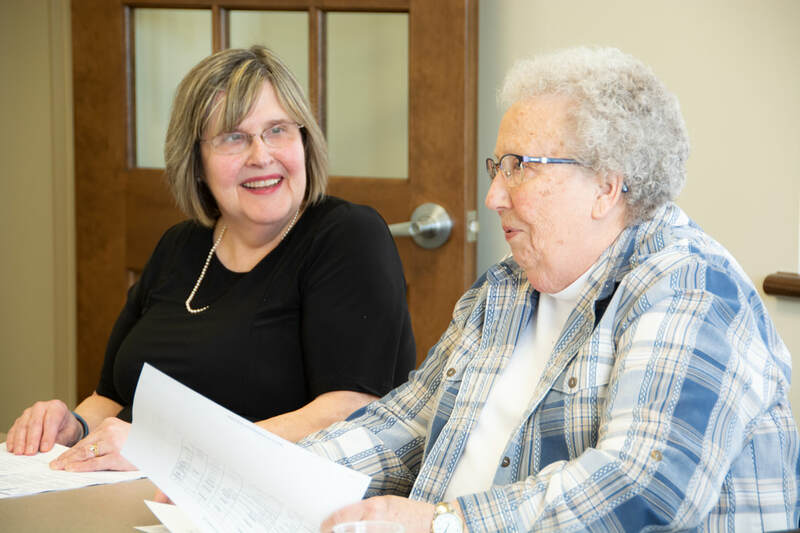 Trinity English's Deaconesses (all female, though appreciative and welcoming of the significant, supportive presence of male spouses and friends) invite you to share in this ministry of . . . If this ministry intrigues or calls you, please reach out to Pastor Kathleen Haller. What a difference you can make; imagine how being part of such a ministry might make a difference for you, too! In our baptism we promise to live as God's instruments of peace and to be God's healing presence in the world. 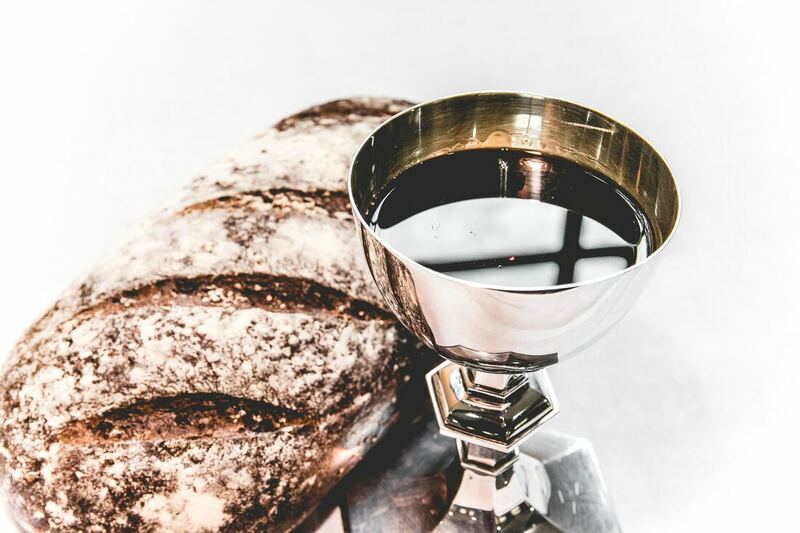 Lay Eucharistic Ministers are trained with theological insights and practical guidance to extend the table of Holy Communion to those in hospitals, homes, and facilities so that all might feel fully connected with God and one another through the Body of Christ. Please contact us if you would like to learn more please reach out Pastor Kathleen Haller. Please join the Meals with a Mission cadre of caregivers who desire to feed others with friendship and food. If you would like to receive, or prepare and deliver meals as part of this ministry, please contact Cindy Goshert at 260.672.3737. Through the Telecare Ministry Trinity English reaches out to members who have recently been hospitalized and to those who are in circumstances of continuing need. 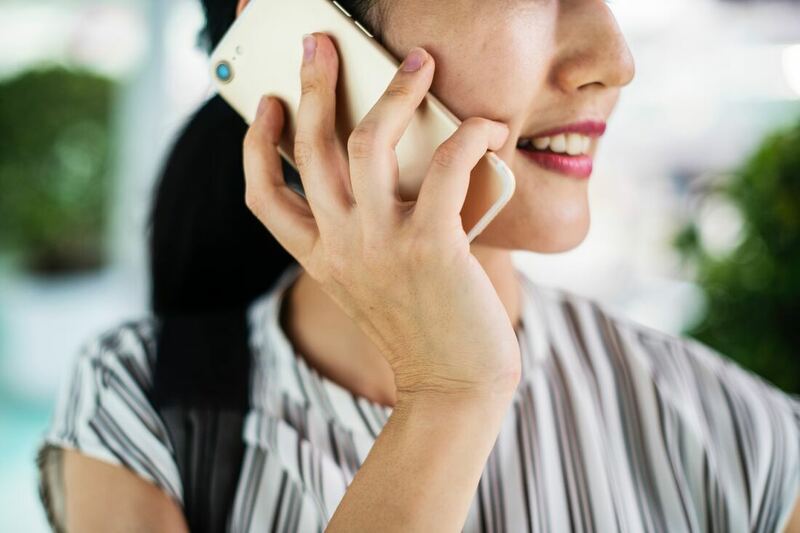 While some of our Telecare services are provided weekly, others are quarterly, while others in the "Phone Friend Ministry" are calls made just to one person, once a week or month. Telecare Ministers are ALWAYS needed as we have many members who live alone and are in need of support or a friendly conversation. The Telecare Ministry is a wonderful way to share Christ's love, especially for those who prefer to serve in the comfort of their own home, and have a desire to reach out to others. Please reach out to Pastor Kathleen Haller. Prayer Shawl makers gather the third Wednesday of each month from 4:00 to 5:30 p.m. in the Seeds of Faith Gathering Area from September through May. You are invited to enjoy the company of others and work on Prayer Shawls or you can work on them on your own. At this time there is a special need for additional prayer shawls. Please consider reaching out to those in need by making a prayer shawl. Feeling the warmth and comfort of a prayer shawl can truly be a blessing when one is experiencing life's challenges. The prayers of compassion and hope that accompany every prayer shawl bless the recipient and God is present in the creating, giving, and receiving of these beautiful and lovingly created gifts. If you know of someone in need of comfort, please stop by the prayer shawl display in the Seeds of Faith Gathering area and take a shawl to a friend or family member. 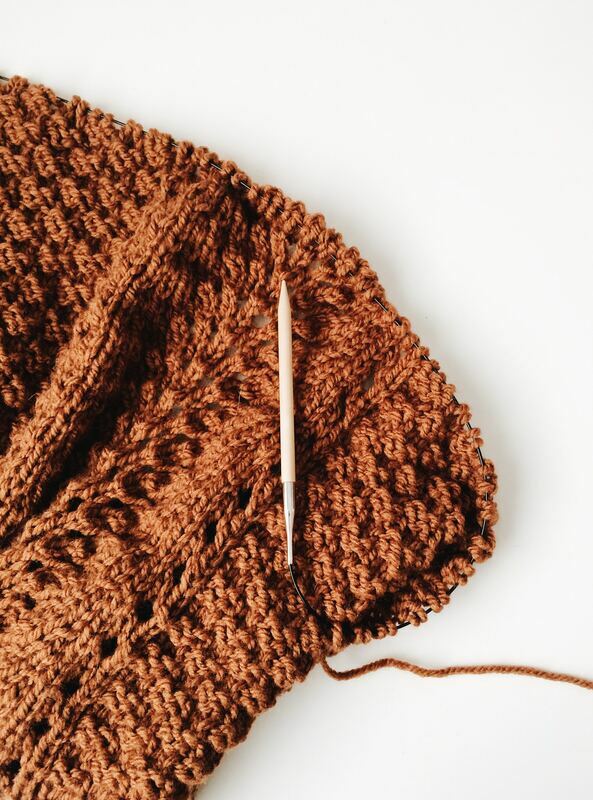 Those experienced in the art of knitting and crocheting are encouraged to donate shawls at any time. Contact Pastor Kathleen Haller for more information. 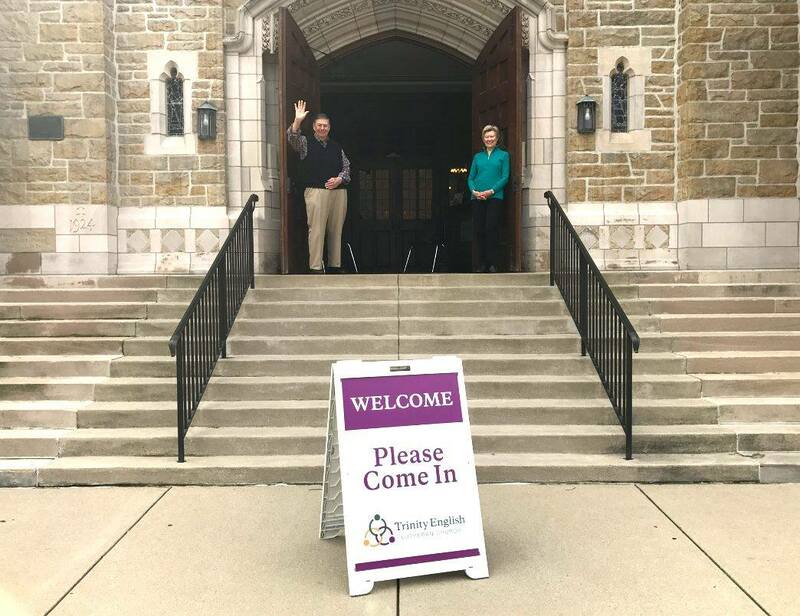 The Trinity English Lutheran Church Greeter Ministry exists to create an atmosphere of welcoming love and fellowship for everyone who enters the church. This will be accomplished through a warm and friendly welcome, knowledgeable information, and help for those who need it. Two greeters are needed at the Washington Boulevard entrance on Sundays for the 9 a.m. and 11 a.m. services, and on Wednesday nights for the Community Dinner. If you have questions, suggestions, or want to be added to the SignUpGenius Greeter Ministry email distribution list, please contact Trina Gould Liggett at trinagould@helmkebeams.com or Cindy Spohr at cindyspohr1@gmail.com.